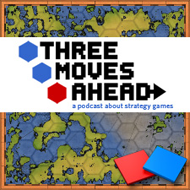 Hellmode‘s Ashelia (aka Rhea Monique) joins Rob and Julian for a discussion of how strategy games can learn from other genres. Rob also coins the Old Country Buffet approach to strategy game design. The October pledge drive continues with a more subdued plea for money. Listen here. RSS here. Subscribe on iTunes.